Every year The Kamloops Chamber of Commerce and TD present the annual Business Excellence Awards. Long considered to be the premiere business event of the year, the Business Excellence Awards provide an opportunity for businesses in Kamloops to be recognized for their successes. 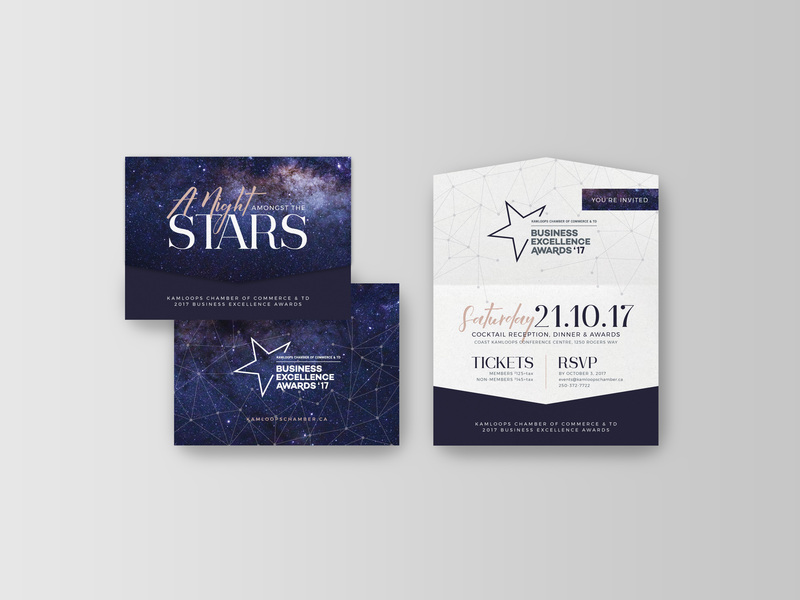 2017 was the fifth year that the team at Fresh had the pleasure of designing the event materials for the gala as well as the materials leading up to it. Each year the Chamber team selects a theme for the event and coordinate décor with the talented visionaries at Viva Bridal Boutique. Using the décor plan as the inspiration, a look is designed to give the event a brand identity to match. 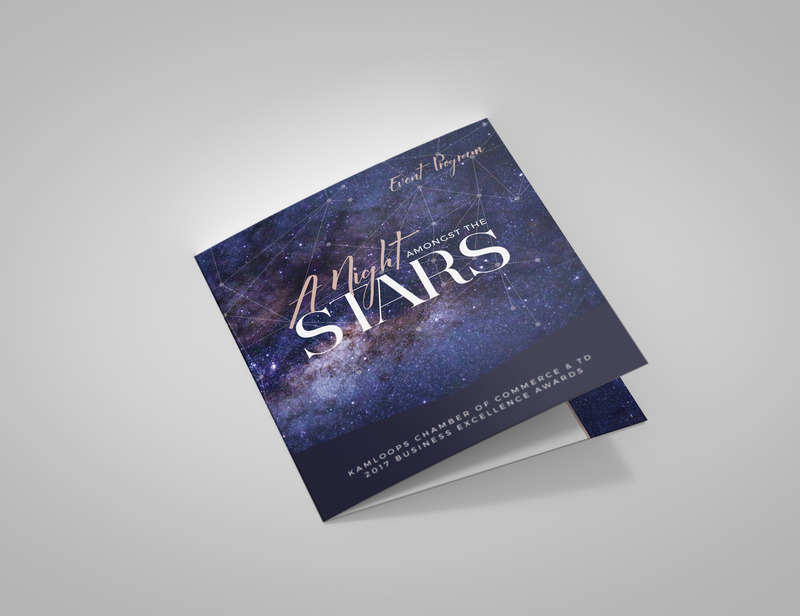 2017 marked the 31st year of the awards gala and was named "A Night Amongst the Stars". A picture of the milky way was selected as the feature image and was accented with a constellation pattern overlay. The typography for the materials featured a handwritten script, paird with a funky serif and sleek san-serif font. 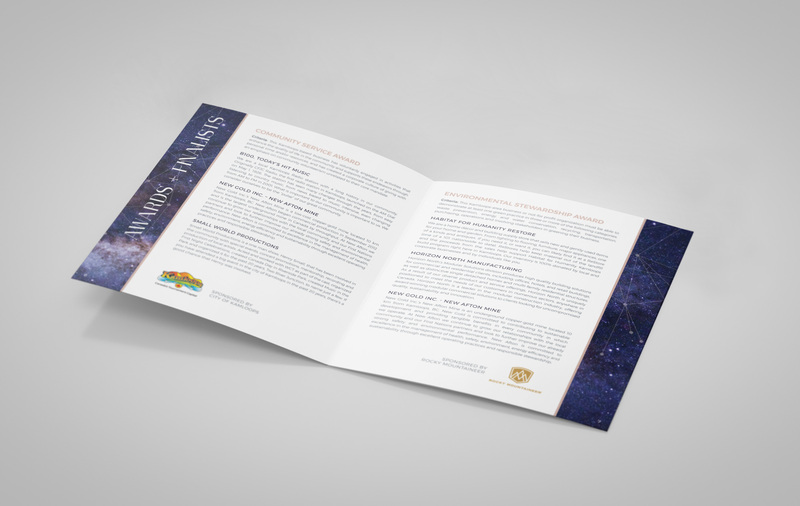 Work included: Invitations, Tickets, Program, Power Point Templates, and Event Signage.